SureCall Force5 – A guide to Signal Boosters | iPhone 5 Features, Apps and Accessories Ranked! The SureCall Force5 is a self-contained, five-band, Voice/3G/4G LTE cellular signal booster. It is built with high linearity to support upto 100 simultaneous callers and data users for coverage areas of 20-25,000 square feet. The Force5 combines PCS and Cellular dual-bands for all major carriers with LTE and AWS frequencies for Verizon, AT&T and T-Mobile. It is considered to be a commercial grade cellular amplification solution suitable for offices, schools, hospitals, industrial buildings, housing complexes to name a few. The Force5 is a reasonably priced signal amplification that acts as an alternate to expensive and complex DAS integrations. 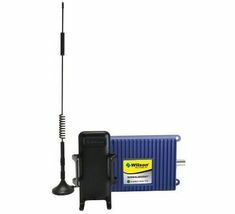 It is the first 5-band cellular booster compliant with FCC certification standards and the benchmark for providing optimal signal booster coverage in all types of large building environment applications. Introduced in 2009, it has thousands of successful installations throughout the US and Canada. The SC-288W Omni Outdoor Antenna has 4dB gain. Omni antennas receive and send signals in a 360º radius. 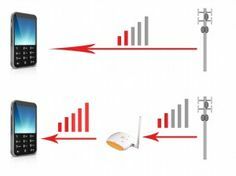 They can receive signals from multiple cell towers and are best for boosting signal on many different carriers. They are excellent in most situations where the existing outside signal strength is moderate to strong. The SC-230W-S Yagi Outdoor Antenna has up to 8dB of gain. 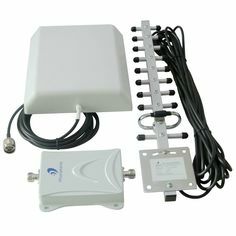 It is a directional antenna that can reach cell towers up to 30 miles away. It needs to be set up pointing in the direction of the cell tower, and because it is directional it will only pick up signal in that direction. The SC-222W Omni Dome Antenna is a multi-band omni-directional plastic dome antenna with that broadcasts signals in all directions. It has 6dB gain and is designed for central locations with 360º coverage. The antenna range is dependent on three factors namely, 1) physical obstructions, 2) power generated by the booster and 3) reception from outside signal received and distributed by the outside antenna. The inside antennas can be either the 222-W Omni Dome Antenna or the 248W Panel Antenna. The standard kit comes with one inside antenna, one 30’ coax cable, and one 75’ coax cable. The two-antenna kit comes with two inside antennas, a 2-way splitter, one 30’ coax cable, one 75′ coax cable, and two 50’ coax cables. The four-antenna kit comes with four inside antennas, a 4-way splitter, one 30’ coax cable, one 75′ coax cable, and four 50’ coax cables. Sentry is SureCall’s revolutionary advancement in remote optimization and system management. A must-have for IT & Building Managers where continuous up time is mission critical.